We keep a wonderfully colourful variety of chickens and try to have at least two or three different breeds of cockerels so we can breed for different coloured eggs. We also favour Indian Game chickensas they produce great meat birds when crossed. 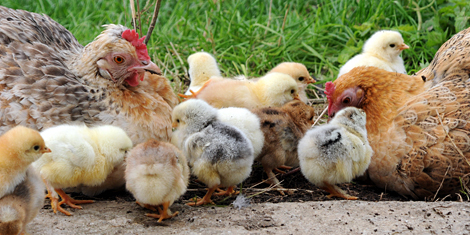 We sell fertile eggs, chicks and chickens. 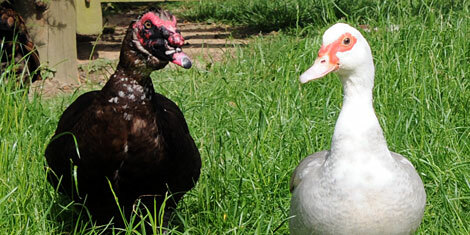 Most of our birds are named with Queenie Bantam (right hand side), being one of our favourites! We have five ducks: Grape, our drake and Apple, a Lavendar (pictured) plus Pear, Banana and Berry who are all black and white. Muscovies make excellent mums and each year they lay several batches of around 15-20 eggs and then go broody. Within six to eight weeks of hatching the ducklings can be sexed. We usually sell the females & keep the males for meat. 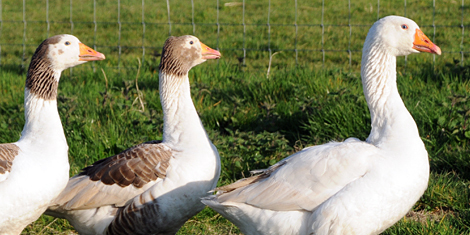 We keep a trio of geese Gloria, Guinevere and Sylvester that do a great job of keeping the grass trimmed in the poultry paddock and beyond. 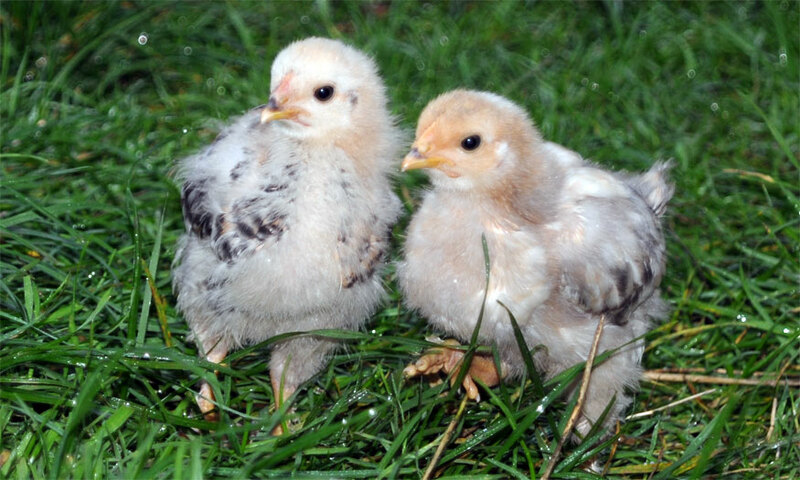 We aim to hatch as many goslings as we can to sell on and sell spare eggs as hatching eggs. We don't tend to rear on any for ourselves (we have quite enough meat in our freezer). 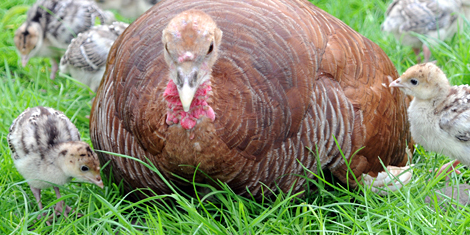 We have a quintet of turkeys comprising Katherine (pictured) and Elizabeth who are Bourbon Reds, Victoria who is a Bronze and Napoleona a Pied. Our 'current' stag Napoleon is also a Bourbon Red. Our girls each go broody at least once every year, giving us fabulous poults for rearing/selling on.